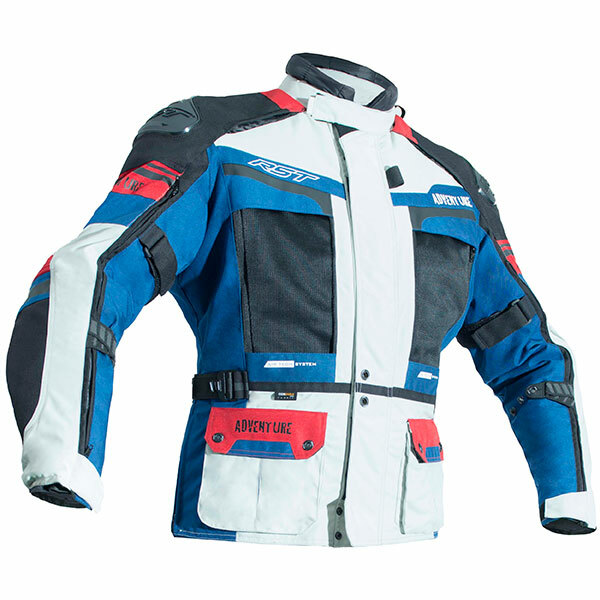 This textile motorcycle jacket has a 'sports-street' fit: designed to be comfortable and easy to move around when on the bike in any situation. 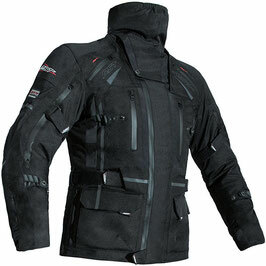 Our Blade motorbike jacket is made using a Ballistic 1660 and Maxtex construction method, along with a Sinaqua waterproof breathable membrane and a removable quilted thermal lining. 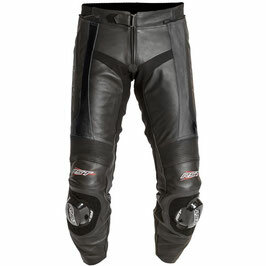 All seams are triple and double stitched using super-strong bonded nylon for maximum burst resistance. The Blade jacket can be zipped onto any RST motorcycle jean in the range including its matching pant the Blade Sport Textile Jean. 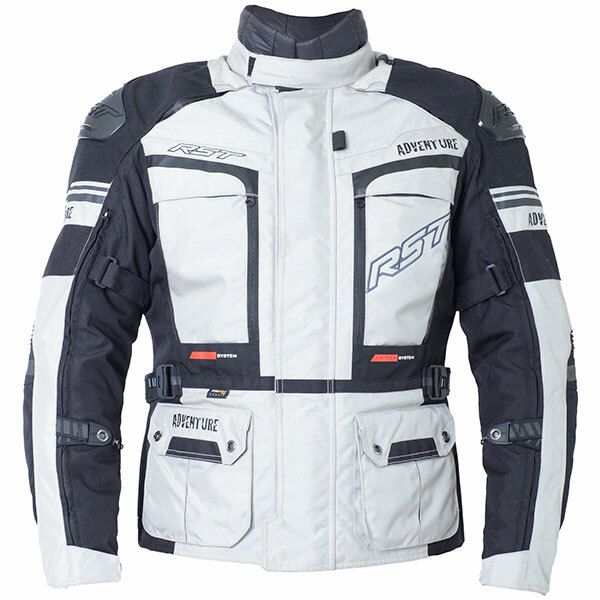 RST profile adventure fit: a waterproof motorcycle jacket with a specific fit for upright adventure and touring style bikes. 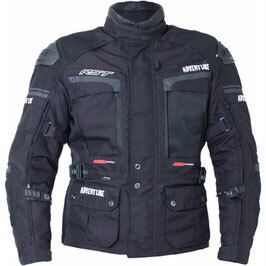 This motorcycle jacket is made from a Cordura 500d and Ballistic 1660 construction, and also includes a removable Sinaqua waterproof breathable membrane and a removable quilted thermal lining. 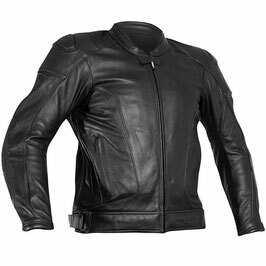 We triple and double stitch the seams on our motorcycle jackets: all seams are stitched using super-strong bonded nylon for maximum burst resistance. 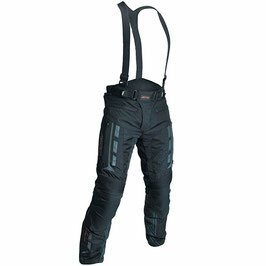 Contour plus level 1 back protector fitted as standard, with contour plus CE armour to the shoulders and elbows. 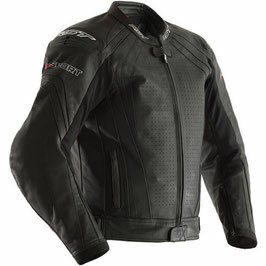 There are large adjustable vented panels to the chest with long zipped vents up the arms plus large rear exhaust vents. A water bottle pocket, removable map pocket that converts into a bum-bag and detachable throat coat give the adventure maximum versatility. An RST leather motorcycle jacket with a profile street fit: designed to be comfortable and easy to move around in when on the bike in any situation. This motorycle jacket is made using Full grain 1.1-1.3mm cowhide: soft and supple whilst retaining excellent abrasion and tear resistance properties. 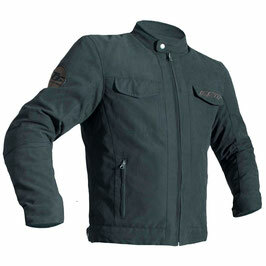 Triple and double stitched seams: all seams on the jacket are stitched using super-strong bonded nylon for maximum burst resistance. The R-14 jacker has Contour plus CE armour to the shoulders and elbows and a pocket ready for an RST back protector. 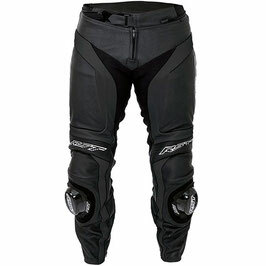 These jeans a non-knee slider jean. 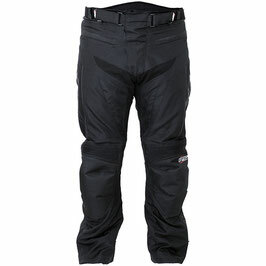 A handy back map pocket is included too! Contour Plus CE armour to knees are fitted as standard along with pockets for optional hip armour. 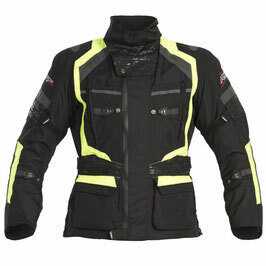 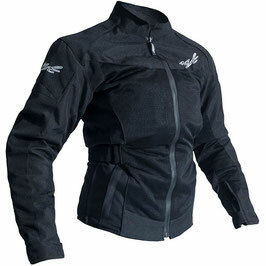 RST profile ladies specific touring fit: this motorcycle jacket for women offers comfort for hours on the bike, with subtle feminine styling. Ballistic 1660 and Maxtex construction, with a Sinaqua waterproof breathable membrane. 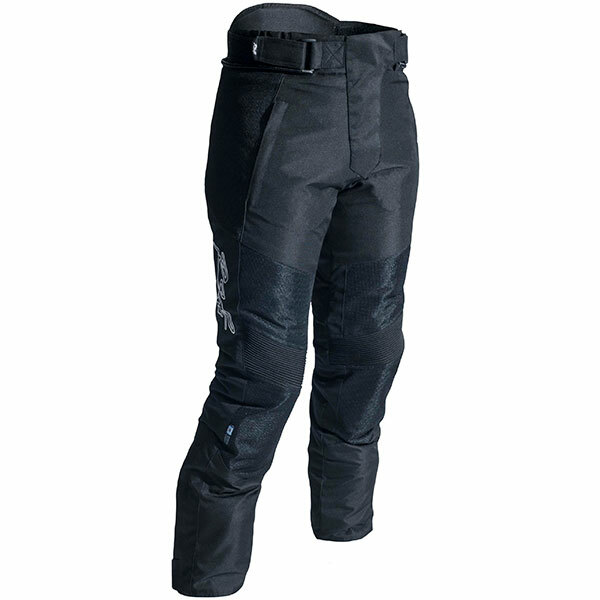 Contour Plus CE armour to knees with pockets for hip armour. Jean available in a short leg version, both with a heavy duty connection zip to match the jacket. 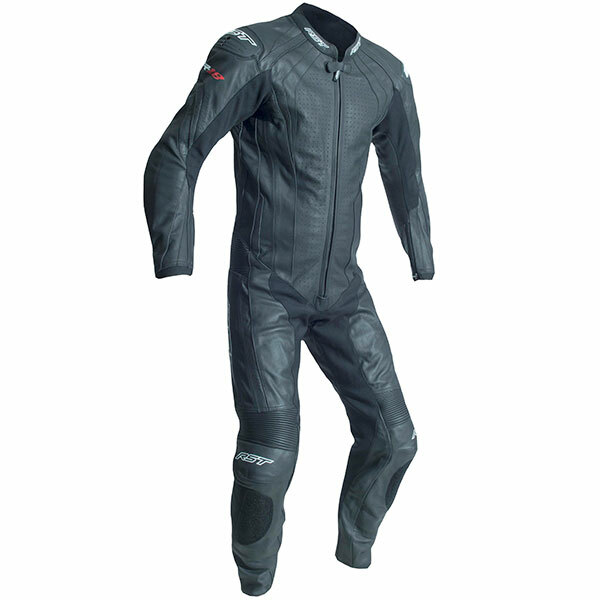 RST profile adventure fit: a motorcycle textile and waterproof motorcycle jean that has a specific fit for upright adventure and touring style bikes. 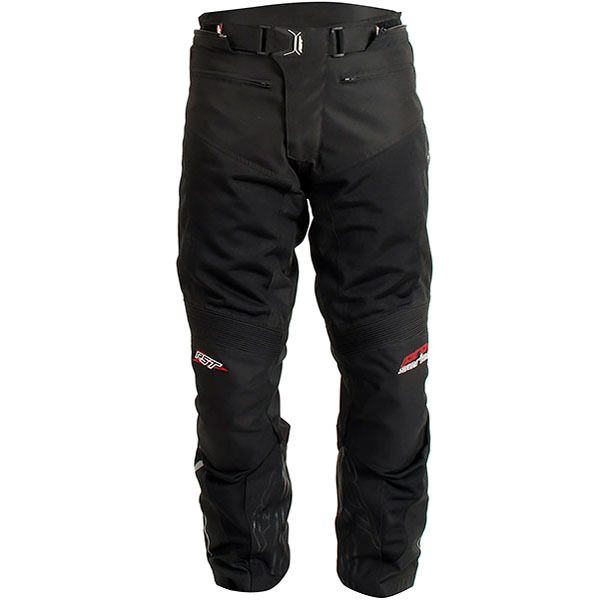 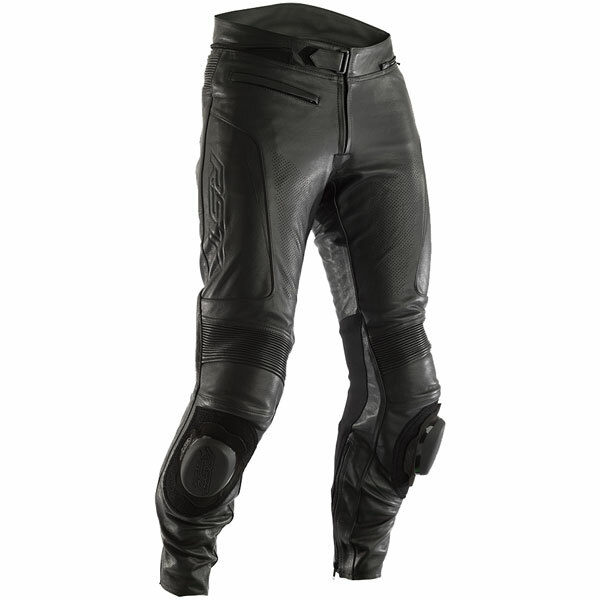 These motorcycle trousers are made from Cordura 500d and Ballistic 1660 construction, and also include a removable Sinaqua waterproof breathable membrane. These motorcycle pants have triple and double stitched seams: all seams are stitched using super-strong bonded nylon for maximum burst resistance. 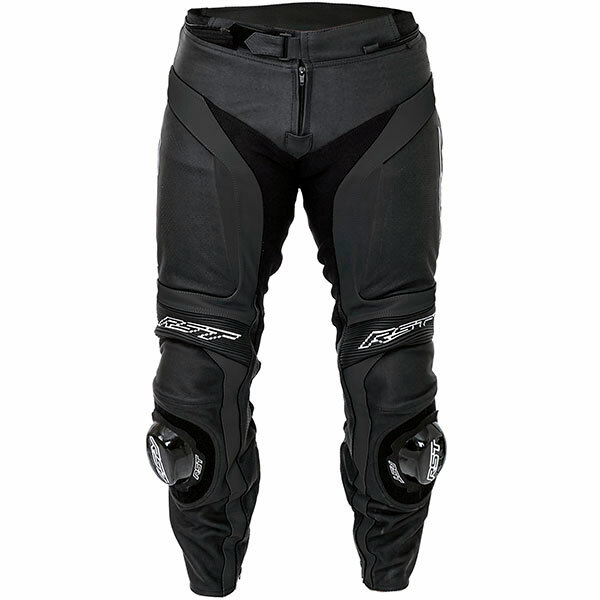 RST Contour Plus CE armour to knees are fitted as standard along with pockets for optional hip armour. 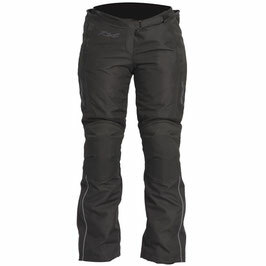 A variety of zipped panels on the jeans offer excellent ventilation. 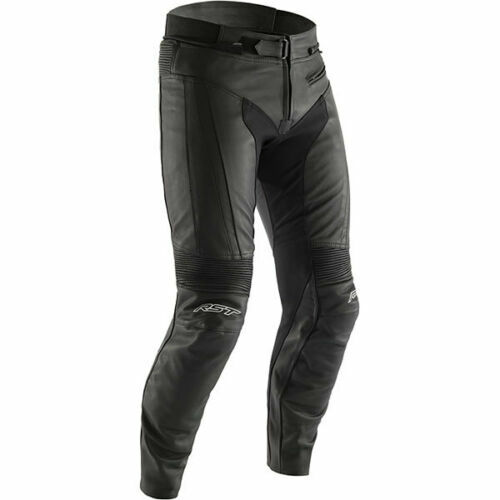 The Pro Series Ventilator IV is a sports-street fitting jean: designed to be comfortable and easy to move around when on the bike in any situation. 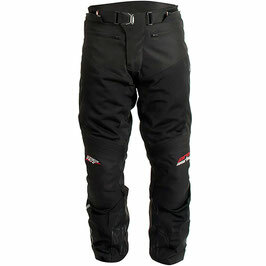 with a Ht-tex, Ballistic 1660 and k492 mesh construction, these jeans have a Sinaqua waterproof breathable membrane. These motorcycle pants are triple and double stitched at the seams: all seams are stitched using super-strong bonded nylon for maximum burst resistance. 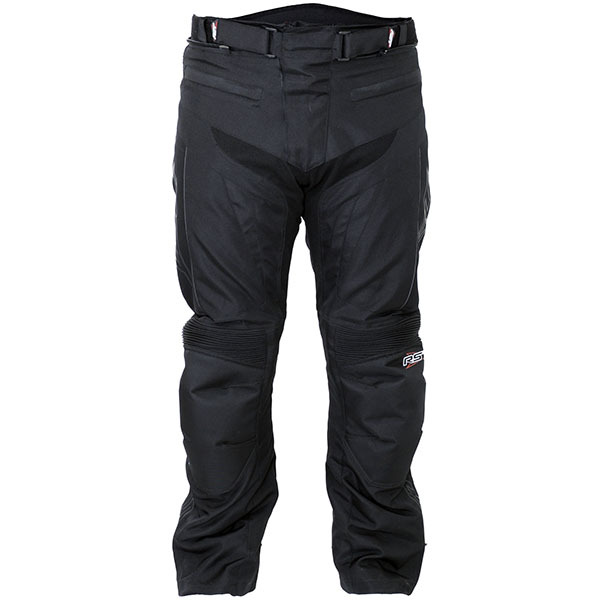 The Ventilator IV Trousers come with contour plus CE armour to knees plus pockets for optional hip armour. 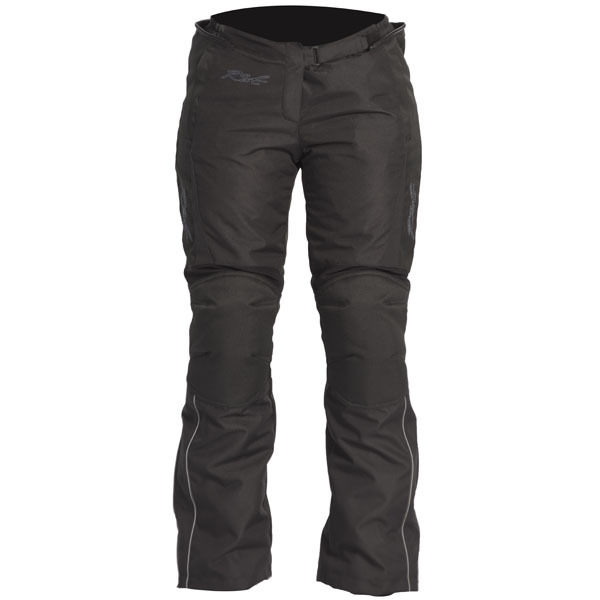 Multiple adjustment points to maintain the same level of comfort whichever way you decide to wear the Ventilator.